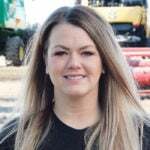 One of the newest implements to hit the market in Canada this year, the Weed Clipper (video), came from Bourgault Tillage Tools, and it was on display in the Innovations Show Place at Canada’s Farm Progress in Regina in June. Designed to cut fast growing weeds that are taller than the crop, the Weed Clipper gives growers a non-chemical alternative to rolling out the sprayer. The implement will cut at a very wide range of heights, from a few inches to as high as roughly four feet, which means it can make multiple effective passes through a field throughout the growing season as the crop matures. And it can also be used to deal with standing residue after using a stripper header on a combine. 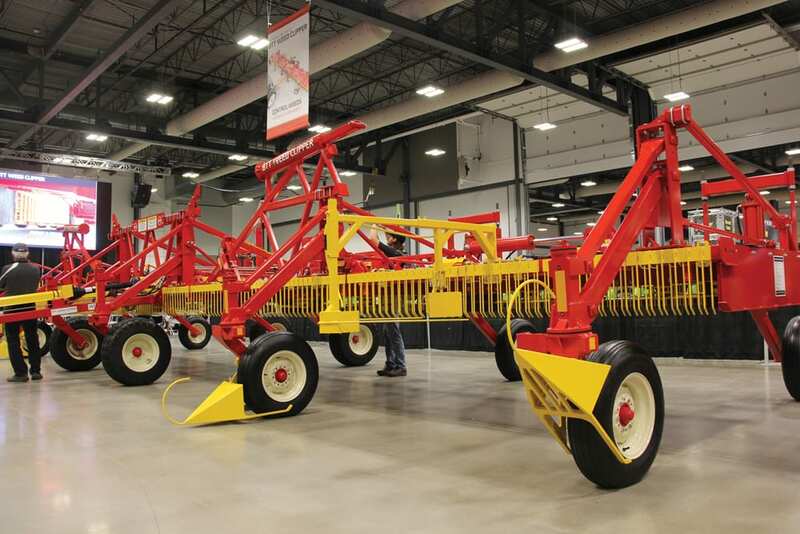 “Farmers… may be able to take this into the field and break up stalks where they have used a stripper header on a combine,” added Fagnou. “They can go into the field in the fall or the spring and cut it down to a height that they can seed into again. To help minimize crop damage, the Weed Clipper can be equipped with crop dividers in front of the tires, which can lower the damage rate down to between four and six per cent depending on how heavy the crop stand is. “What’s standard on the machine is what we call the physical crop height indicator,” Fagnou continued. “While the operator is in the tractor, they can look out and see it. This indicator will be level with the blades. When you see that you’ll be able to tell the difference between the crop height and the weed height. Then you change the cut height so you’re cutting the weeds as close to the crop height as possible. The optional camera system has a monitor in the cab, so the operator can monitor the height of the crop from the cab. It improves the efficiency of the operation. 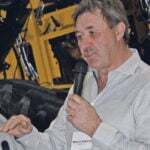 “In a fairly heavy lentil crop infested with wild oats, you can cut at a 98 to 99 per cent job at five miles per hour with about a 200-horsepower tractor,” he said. A fully optioned Weed Clipper will have a retail price between $230,000 and $240,000. For more information, go online to the company’s website.